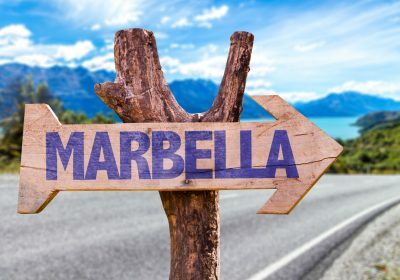 Enjoy 7 nights in Marbella with this complete package holiday with TUI Holidays (Formally Thomson). It’s an amazing deal with flights, luggage, hotel and airport transfers all included in the knock down price of us £141 each !! Not for you? There are various options available to choose from which you can check out HERE. 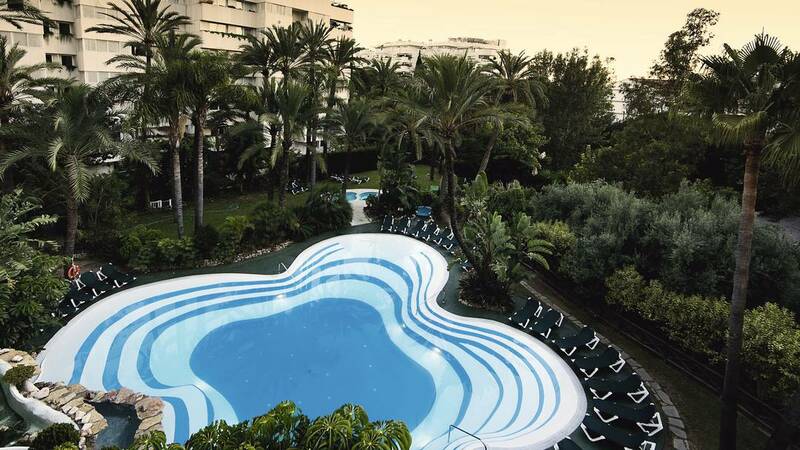 With a plot right on the exclusive Golden Mile, just five minutes’ walk from the beach, the Monarque Sultan Aparthotel is a great base for exploring Marbella. 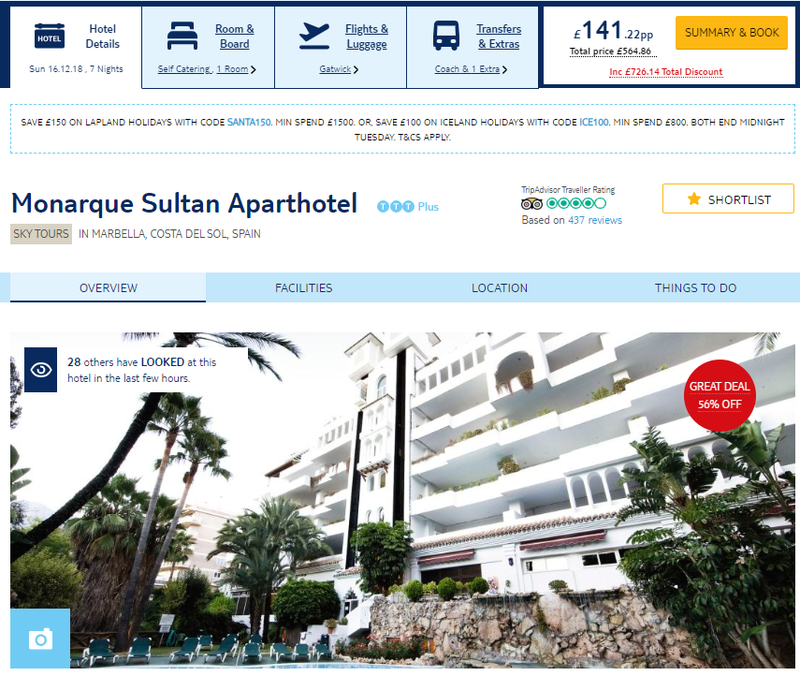 The Monarque Sultan Aparthotel is only five minutes’ walk from a palm-lined beach, which is backed by a strip of bars and restaurants. Every room is kitted out with a kitchenette. Step out onto the balcony, and you’ll look over the Sierra Blanca Mountains or the Mediterranean Sea. Monarque Sultan Aparthotel is offically rated a 4* Star Hotel with excellent reviews on TripAdvisor and an average rating of 4/5. CLICK HERE to read the reviews for yourself.